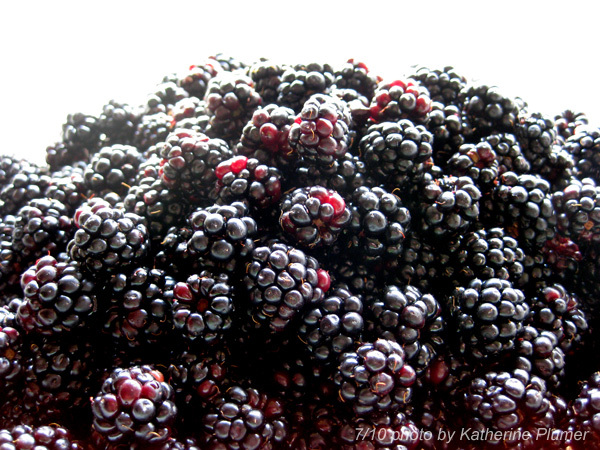 My life, under the microscope...: blackberry season begins! I just realized that to a lot of people the word "blackberry" probably brings to mind the cell phone thingy. Heh. After the morning dog-walking session I figured I'd better suit up and start picking blackberries. It's easy to miss out on them, they can go from perfect to raisin-ish instantly in one of the stupid hot spells that we are so prone to around here. And by suit up I mean put on jeans and boots, no fun when the weather is hot! 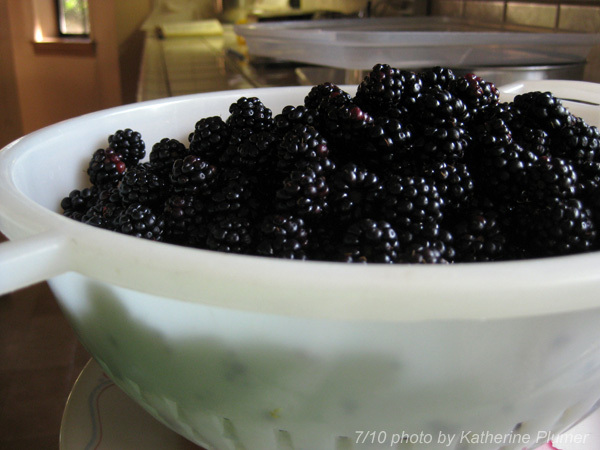 I take blackberry picking seriously, because the best ones are always just out of reach (to normal people). I tend to go stomping into the blackberry bushes (hence the boots) and get all scratched up and get thorns stuck in my clothing, but hey, I get a lot of berries! Ten cups in about an hour this morning in just a short section along the creek behind the barn. 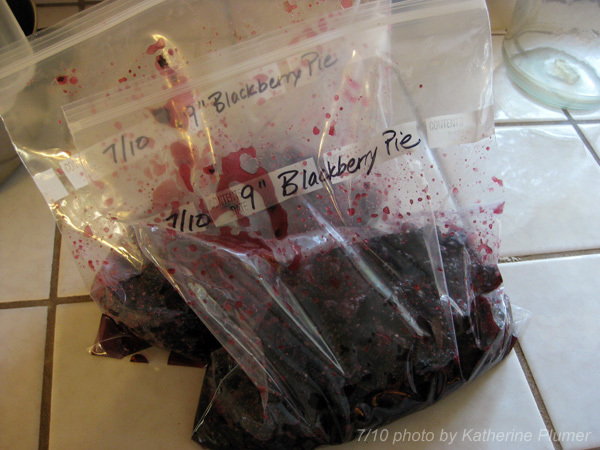 Exactly enough to make and freeze two pie fillings for later. There is nothing better in the middle of the cold gray winter than to have a fresh-baked pie full of summer fruit! In other news I started work on a sketch for an upcoming chicken drawing tonight. Yeah, a chicken drawing! First one I've done in a year, wow. Good to know I've still got it. ;-) There will be pics when the sketch is approved and squared away and I start the colored pencil work.